About the author: Grant Meredith is a lecturer of Computer Games and Multimedia within the School of Science Information Technology and Engineering (SITE) at the University of Ballarat, Australia. Grant is also the discipline coordinator for the Games, AI and Multimedia programs. Additionally, Grant is the programme leader for the Technologies for Empowering People for Participation in Society (TEPPS) Programme. TEPPS envisages, designs, tests and implements assertive technologies for people in need. Grant has research interests in assertive technologies, cyber ethics, social justice and information systems. Grant is a member of the SITE IT/educational research team that is currently investigating issues of student retention, assistance novice programmers and perceptions of plagiarism. 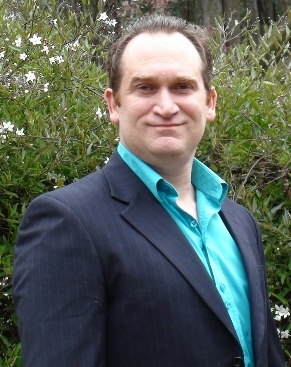 Grant is an active publisher and has presented his work globally. By the way..he stutters. The theme of this year’s the International Stuttering Awareness Day (ISAD) Online Conference is “People Who Stutter Supporting Each Other”. The theme has led me to think about how people who stutter (PWS) do/can indeed support each other. The obvious ways come to mind ranging from lending an ear to a chat, to participating actively within a support group through to pointing PWS towards accepted treatment methods. But of course, we are all individuals with different opinions, interests and talents. So there may be many other ways in which we can support each other. In my case as the research leader for Technologies for Empowering People for Participation in Society (TEPPS) programme (http://tinyurl.com/tepps) I lean personally towards creating, evaluating and rolling out technologies that may help my fellow PWS. I love to share ideas, discuss ideas and collaborate on ideas. In this paper I intend to present some ideas with the aim of inspiring parents and speech language pathologists (SLPs) into further discussion revolving around the development of treatment for children who stutter (CWS) in different ways than are conventionally used at the moment. Computer games are no longer only the domain of children as they once were. Video games are a serious business and it may shock some readers to know that globally the games industry yearly earns more money than Hollywood (Stuart, 2011) and has continued to do so since from at least 2008. Video gaming is being taken very seriously in terms of its overall effect on global culture, as an evolving art form and as the source for serious academic focus. Recent surveys on gamers have opened up many people’s eyes to how far video gaming has spread from smoky 70’s arcades and through to the technologies and culture of modern families. Yes, 40% of adults who game also regularly play games with their children. Another survey conducted by Bond University in 2011 indicated that 92% of Australian households had at least one device used for playing games. The report also highlighted a high degree of parent/child gaming interactions indicating that a 88% percentage of parents who gamed (83%) played games regularly with their children (Brand, 2011). This indicates a large amount of family unit gaming interactions and firmly sets gaming as a family affair in many modern households. So it makes me think hard. We know that many people and children play video games, and together. But why have speech and language pathologists not considered video gaming as a method to assist therapy in a serious fashion? For parents of CWS who may be reading this article consider these thoughts: How many hours do your children put into gaming per day and how many times have you perhaps told your kids off for spending too many hours gaming? But what if these CWS were playing games that were assisting them with therapy, treatment or social confidence? I would then think that you would most likely be encouraging more hours for them behind the gaming screen. The aim of this paper is to propose two different games-based ways for people to consider in terms of the future treatment and support of children who stutter. These methods are by directly using video games as tools of support and/or by using the process of “gamification” to make therapy and treatment more appealing to children. To begin with I will discuss the use of video games as enablers of therapy and support. The first decision we must make is whether to develop a video games or to use existing games which are already out on the market and on the store shelf. Initially it may make sense to use games which have already been developed to appeal to the general gamer market. This would be a much cheaper and quicker option than developing games specifically only for speech therapy. Of course you should keep in mind the content and appropriateness of a game before considering exposing your child to it. Let’s consider the use of the well-known games like “Cooking Mama” in which players prepare and cook meals through a series of mini-games or a point and click adventure game like “Sam & Max” with its rich comical storylines. Games like these could so easily be included within therapy with parents observing or playing with their children while at the same time encouraging the use of learnt speech techniques. It would be so easy to develop narrative discussions around the game play and interactions within. This would add a great fun element to clinical and home based treatments. This could very well encourage children to be more interested in therapy and encouraged them to practice. Now let’s consider the creation of games for children who stutter. In my mind this is a tricky one because why would you reinvent the wheel for? So many games already exist on the market on the shelf in which we could easily include within therapy in some form. But what if the aim of the game was not directly therapy related, but was more concerned with social confidence and self-esteem? My approach to creating games for kids would then be different and go beyond peer interactions. I would consider creating a video game that could assist therapy, but would more importantly have a strong lead character who stutters. The child could then more readily identify with the character and play them out through the stories within the game itself. A computerised stuttering positive role model, whether it be a private investigator, a swamp frog or even a galactic ranger saving the universe. An avatar which is accepted within their virtual world, faces challenges and overcomes them, while in fact stuttering openly all along the way. Even better, we could design a game in which the child could customize the lead character to resemble themselves, in turn truly placing themselves within the game world. I would think that parents of children who stutter the world over would gladly encourage their children to spend hours and hours interacting and playing such games. Alternatively the narrative of the game may be more akin to real life in which there at times may be negative feedback from peers and strangers. It would be great for children and families to be able to work through, discuss and educate the child about such situations. This educational experience could occur within a comfortable, caring and supportive home-based environment. These types of games in my mind could be heavily complementary to existing therapy techniques and support services. These types of games if marketed and designed correctly could also have a strong ability to spread awareness of stuttering on a global scale and appeal to a much wider market. Another consideration for SLPs could be the “gamification” of therapy for children. Gamification is a not a new term or concept but perhaps many readers may not have heard of it. Gamification is becoming a focus of some serious academic attention with studies being conducted across different disciplines and is hard to give justice to in a small paper. The process of gamification at its core revolves around using game mechanics and techniques to encourage, motivate and excite participation, learning and collaboration in non-gaming contexts. This may sound daunting to some people. How in the world would I “gamify” therapy? Well perhaps some of you are already doing it without knowing it. Actually once explained in terms for an SLP you might well begin to see elements of it everywhere throughout normal everyday life. Why not play on the natural desires and expectations of a generation which have grown up with video games? Gamification can revolve successfully around a sense of community. A community could revolve around an SLP clinic, via a stuttering organisation of support groups. Within the community you could gamify therapy and support with a little thought quite easily. Groups could even have virtual portals and websites to assist with this and cater for a more widespread, if not global audience. For example when combining a website together with conventional therapies and support environments to encourage the gamification of supporting children who stutter you could give the ability of children to create avatars to represent themselves. These avatars could range from being realistic in appearance through to more animal forms. Children love to create virtual characters and identities. You may even allow the child to name their avatar. This avatar would represent the child through the following list of possible interactions and game elements. To encourage a child to focus hard on therapy a sense of reward and progression represented through their avatar could occur. Imagine being able to grant a child some form of virtual achievements for various tasks set by the SLP and family. For example a child may have consistently practiced their learnt techniques for a week for the SLP may award them a virtual ribbon, badge or perhaps virtual currency. With the virtual currency perhaps the child could buy additional clothes and items for their avatar. Or perhaps if a partnership was struck with some local businesses them the virtual currency may translate into store credits of some form. Reward could also take the shape of progression bar and leveling up. A child could then easily gauge their progression through therapy and aim to level up. The result of leveling can itself allow certain allocations of rewards and incentives. Earlier, I alluded to the fact the gamification can revolve around a sense of community and this is true. Imagine a website on which many different children can register and join with the help of their parents. All these children are represented by avatars and are all undergoing therapy. It would not be difficult to implement some form of competition amongst avatars. You could allow leader boards of achieved points or levels to be public amongst members. These could revolve around a site-wide reward system that all associated SLPs inform and enforce. Like adults, children may also be driven by such a sense of achievement and also competition. To aid with gaining achievements and scaling the leader board SLPs may be able to give children a series of quests or goals to achieve. These tasks can be allocated in a progressive order and paced to match the progress of the individual child. Many popular children games revolve around the completion of quests and missions. Some missions may revolve around the practicing of techniques consistently or perhaps specified speaking tasks. Some examples may be making a phone call querying a shop or giving a “show & tell” presentation at school. Again via the quests the child could level their avatar up higher or be given some form of virtual achievement. Finally it would be possible to build into the online community some form of multiplayer cooperation or role playing. In a more complex system different children could log on and team up at the same time with perhaps the aim of role playing a scenario. For example they may create a play within a virtual theatre, run a virtual shop or interview each other on a virtual radio station. These role playing meetings could be run and times by the therapist or the families of children to supervise and guide the interactions in a playful and constructive manner. With carefully thought out processes you may also allow the registered children themselves to chat to each other and socialize with the aim of peer-lead support. Through a web-based environment this could be facilitated globally and a child would grow very aware that they are not alone in regards to stuttering. To complete this paper I just wish to reiterate that I think it is time that the speech and language profession starts to seriously consider how to implement both video games and the process of gamification into conventional therapies. The careful design and evaluation of these processes may tap into the modern gaming mentality and make therapy more fun for children. In turn hopefully leading to more successful therapy-based outcomes for all involved. Brand, J. (2011). Digital Australia 2012. Eveleigh, NSW: School of Communication and Media, Bond University. Wow Grant! What a wonderful contribution – not only a paper but the video explaining gaming and the merits to therapy for kids. You obviously took a lot of time putting this together and you are obviously passionate about your work. I hope SLP’s read this and seriously consider infusing gaming into traditional therapies for kids. It has such huge potential to make the therapy experience much more appealing for kids. Have you had any conversations with SLPs who have tried incorporating gaming into therapy? This is fantastic grant. I had not concerned how gaming could be integrated with speech therapy. As a SLP student, software engineer, PWS, and father to be this is an incredibly interesting idea. Are any programs in flight to build a beta version of such multiplayer games? Hey Bobby, I do not know of any specified platforms myself which are in development for CWS. I am hoping that this discussion sparks that interest, stirs debate and leads to funding. Thank you for these insights…I am the parent of a 17-year old who stutters and we used gaming as a therapy tool – maybe a bit differently than you’re describing, but gaming nonetheless. You’ll see I’m not a fan of suggesting the use of speech tools and techniques for children who stutter (see my submission “The Right Time to Break Out the Stickers”) – but we found that when our son was playing a game with his friends (either in person or online) he spoke freely and naturally with very little stuttering. He was too busy having fun to worry about his speech — a state of mind we want him to experience as much as possible. And he had to depend on his friends because his mother was intolerably bad at gaming!! Hello Dori, Yes I have only discussed a few angles of using gaming in this paper. It is great to hear that your son is doing well during these sessions and socialising also. I think one key now matter how gaming is implemented is for the child to be able to take those positive experiences, lessons learnt, skills honed etc out into the real world. If that is not occurring then there will be problems. We certainly do not want the child to be dependent on these environments and/or be only virtually happy. That is whay really I suggest a blended approach to an environment as opposed to total assimilation into a virtual world. I also strongly recommend peer and family involvement. What a great idea! Technology is always advancing, especially in the world of the ipad and communication/speech related apps and it’s great to adjust teaching strategies as this advances. Do you see this gamification as reaching the ipad/tablet world as well? I really enjoyed your point in having successful and lead characters in games who stutter. I think it would be a great way to build confidence and show children that they are not the only people who stutter. It might also help other children who do not stutter and that bully the children that do stutter. If more children are exposed to positive stuttering role models, that could build understanding and relationships among children, desensitize children to stuttering, as well as decrease bullying. I am currently enrolled as a first year SLP graduate student, and I am very interested in the integration of gaming technology into therapy. You pose a great question related to our level of anonymity online. There are countless individuals who not only enjoy, but often thrive off of their individual online persona. Your proposal of gaming technology in therapy would allow individuals to explore boundaries that they generally would not begin to approach if they were offline. Why not would allow PWS and CWS the opportunity to create their very own online persona? This would not only allow them a sense of community online, with access to other individuals like themselves, but also allow them to “safely” participate in otherwise daunting activities without criticism. I am intrigued by your idea of opening these particular specialized games to a global market in order to raise awareness of stuttering. I think that would be a great interactive way for the public to gain an authentic sensitivity to PWS. I am not a PWS, and I have recently explored the reality of life as a PWS through a pseudo stuttering assignment in class. I felt as though I was relatively prepared for the negative reactions I received while pseudo stuttering; however, there are an abundance of individuals who are not aware of this reality. For this reason, what are your thoughts as far as the unfortunate potential for the general population to make a mockery of playing with various main characters that stutter? You have posed a very interesting question about the mockery of stuttering game characters. I am not sure. It may depend on many issues including the age bracket, gender and perhaps even culture. It would have to be designed and implemented very carefully for a general audience. You would also have to decide how severe and what type of stuttering behaviors to include. I think plot would also be key. The secret I think in general would be to not focus the plot and interactions on the stuttering (unless there is a purpose to) and to simple have the main character stutter. It would be so interesting to present a focus group with the same scene acted out by different individuals each time, some of which who stutter. Then get feedback from what they thought of the performance. What was their focus? Was stuttering even raised. Media has a lot to answer for though as we know in terms of stuttering portrayals. PWS are usually criminals, bumbling, victimised side-kicks or the poor unfortunate disabled kid in the town. We need more positive role models which in the real world do exist! It could be empowering for some kids who’s friends play the game also and are more exposed to stuttering. I am not sure. All this needs to be thought out, tested etc. But I love the idea! Usually the general public relate very well to a character who is “flawed” and all great characters are because it makes them so human. Thank you for sharing your article! I am a first year graduate student in Speech Language Pathology and have not had a lot of exposure to stuttering. Your article has opened my eyes to the lack of video game usage within therapy. I know the use of the iPad is very popular in therapy, but I’m not sure if there are specific apps directed towards stuttering. Often times you think of video games as a negative activity for children to interact with the majority of their time, but the use of a positive, therapy focused program could be very beneficial for CWS. I really like your idea of forming a community for CWS so they can interact with and support one another. From my knowledge, CWS often think that they are the only ones who are dealing with stuttering, which leads them to become less social and introverted. I think their confidence and self-esteem could increase tremendously if they had a sense of community and a constant support system. I think adding real world situations into the game could also be very helpful for CWS. With this great idea, have you only focused on children who stutter or has there been discussion for programs for young adolescents and adults? In our society, the majority of people from all ages are stimulated by video games and this idea could appeal to adults who still have not sought support for their stutter. Again, thank you for sharing your article. Hello Molli, nice to meet you and great question. Just on a side note it I just read that the latest installment of Grand Theft Auto (no.5) made over $800 million in its first day of release! This is a fantastic paper. In a time where it seems like children are buried in their controllers, integrating therapy into video games seems like a fantastic idea. I love your idea about letting the children personalize their avatars with their own stutter. Its a great way to be supportive of the child’s stutter, while at the same time, implementing therapy. Are you concerned at all that a child might get too comfortable with playing the games and neglect using the strategies in real life? Hello Elane, Oh yes very concerned. It would all be about balance and support. Skills, techniques, confidence etc would all have to be taken out into the real world for these ideas to succeed beyond a virtual comfort zone. I guess that is why I think a blended approach is required. Having some virtual support, peers, goals etc linked to real world experiences and practice. Thank you for your fascinating and important contribution! It is undeniable that video games are popular among adults and children alike. Video games are frequently used as a reward for children and many adults reward themselves with video games. Therefore, video games cannot be overlooked as an important therapeutic resource. There are various positive effects of playing video games, particularly involving extrinsic motivation. However, video games should only be a small component of a multifaceted program for stuttering treatment. Anxiety is known to be a major factor in stuttering (Iverach & Rapee, 2013). One of the first stages of speech modification is desensitization, which involves moving through a hierarchy of speaking tasks from least to greater anxiety provoking (Murphy, 2007). The therapist should ask themselves and the client: Who are the people the client feels most/least comfortable speaking with? Within which type of environments is the client most/least comfortable speaking in? For example, speaking at home may be less intimidating and in contrast speaking in public is likely the most stressful. In fact, public speaking is a highly prevalent fear that can prevent successful social communication (Martinez-Pecino & Duran, 2013). I can see how speaking to people online and creating avatars may be an initial support because it is a low stress and low risk type of integration of speech. However, eventually the individual should wean himself or herself off gaming as a venue for practicing speech. Perhaps the risk is that they won’t make that shift. Although, our culture is driven my gamification, I don’t feel like I can fully support that trend. Yes, it could be extrinsically motivating, but also there should be more real-life interactive situations the client is exposed to. In summery, I recognize the benefits of gaming in certain contexts, but there is no replacement for face-to-face interaction in the process of social communication. Hello January, Great feedback and notions. I also believe that video games could and perhaps should only be a small component of a multifaceted approach to treatment. All this will have to be carefully considered, planned & tested in different forms to suit. Yes the shift of taking lessons learnt, skills and confidence from a virtual world will also have to be closely managed. This opens up many more questions indeed. How much is too much? I guess that is why the paper ended up with “gamification” in which the real world can be closely tied to rewards and achievements viewable in a virtual world. Hi Grant! Thank you for your video and paper! I also think this is a great idea for both children and adults to immerse themselves with. I would wonder though, would the games be able to focus on a variety of goals, for example a person who may wish to modify their fluency versus improving their fluency? I can see this being a great way to incorporate the games into the therapy as well as being tools for PWS to have access at home. I’m looking forward to hearing Grant’s response to this since I was wondering (and predicting this is the case) if games could be personalized to fit each client’s goals. For many children, technology is a staple of their everyday lives and blending therapy with the form of entertainment they’re accustomed to sounds like a plan that could work with many children. Nice to hear from you Shannon. I think if we went down the line of a game then it would not be hard at all to focus the player on goals and quests. In an online environment these achievements may be able to be custom set and rated for individual CWS by their SLPs and also parents. Very flexible in nature. Your ideas about “gamifying” therapy for PWS are thought-provoking. I especially found the concept of “missions” that children complete (i.e. a school presentation) as a wonderful way to blend the magic of games with the challenge of generalizing outside of the therapy room. As a second-year graduate student, I appreciate getting past the theory discussions (albeit helpful for the foundation) and learning more of the practice strategies themselves. Are there specific games you suggest for fluency therapy for different ages with which you’ve been particularly successful so far? Your article includes some great ideas for next steps in the technology field and I can’t wait to see what progresses from here. Great to hear from you Deirdre. At the moment I am not sure of any widely embraced off the shelf games that have been used successfully with SLPs. If anyone knows of any please share them. I am sure that “gamification” as a process has probably been used in some form by SLPs. Maybe just not thought of in the same way as proposed or identified as. I think to start the use of existing games would be of benefit. They would be cheaper to implement. An example I used of Cooking MaMa could be used to build interactive narratives around. A more blended approach of course would be more difficult but also I think more powerful. The ability to customise an environment, goals etc would be the future key to success. I really enjoyed reading your wonderful ideas to build online communities, encourage children who stutter and provide some food for thought for speech language pathologists. There can be no denying the attraction for children of the games you suggest! The use of video games as a therapy tool has not yet been extensively researched in the field of speech language pathology or more specifically in fluency disorders, although the use of technology in the therapy room is becoming increasingly widespread. Traditional barriers to the use of computers in therapy have included the cost and time needed to equip and train speech language pathologists, and doubts surrounding the efficacy of computer-based activities (Cochran & Masterson, 1995). Some research has shown some benefits to using computer activities in other areas but not so far in stuttering therapy, and it is unclear whether these results show benefits greater than those of traditional therapy (Segers & Verhoeven, 2004). However, the use of positive feedback and reward systems for children who stutter has been recommended, (Williams & Dugan, 2002), so potentially the use of virtual rewards within a video game could also have positive effects. A further benefit of the use of a video game as described would surely be the social support system that could be created through online gaming. The importance of a good social support system for those who stutter has been shown in research and testimonials from people who stutter (Craig, Blumgart & Tran, 2011). An important next step would be to consider ways to further research into this area, so that SLPs in the field may learn more about potential outcomes for clients in using video games in therapy. In addition, consideration should be given to the need for a product that is portable and time- and cost-effective for use in schools or private practice. I do hope you are able to take your ideas further and to contribute to the treatment and confidence of children who stutter. I look forward to hearing more in the future! Hello Karen, yes games and gamification seem relatively new to SLPs and do not seem to have been well researched. I think that is why it is time to take some brave exploratory steps 🙂 . I think a gamified environment will be of great assistance to CWS. But we also must carefully design, implement and appraise. Also we must not be blinded by these technologies into thinking they are the “answer”. Portability will be the key and also accessibility. Thank you for writing this paper with the additional video. I believe you pose a very interesting idea. Supporting your idea with the percentages of how prevalent gaming is in our society was a great addition. You’re right. Gaming is everywhere, from our home computers, gaming systems, IPads, IPhones, Nintendo DS, tablets, etc. So why not incorporate it into therapy if it is so commonly used by society. The only tricky part of this concept is the lack of face-to-face interaction. January made a wonderful point above; however, is there more we could incorporate to the games to increase the comparability to “real world” situations? Face-to-face interaction is beneficial, but may not be a necessity. I believe verbal interaction is a fair substitute for face-to-face interaction. Today you see many games that include headsets that allow you to communicate to your friends and other fellow “gamers”. What if two or more CWS could communicate through the use of a headset. Being able to talk to another individual would provide opportunity to verbally communicate. Not only will knowing they are not the only individual with a stutter bring the child more ease, but a bond can also be made, one that is not attainable through a hand controller. Have you looked into the idea of using a headset? Also, you recommended a blended approach is required to prevent the child from becoming to comfortable behind the controller. My question is what if things such as goals, rewards, virtual support, and peers don’t provide enough motivation and support? You suggest making the game a competition, as most games are, but what if the CWS isn’t competitive? Could accommodations to the game be made and if so, what could they be? Again, I think you pose a wonderful question and idea. It had me thinking all day how this could work, because numerous individuals use gaming, why not make it more useful! Thank you for your hard work! Hello and thank you for your thoughts & feedback. I agree that there must be human interaction and at a face-to-face level. There are many fears and concerns about this lack of contact happening at a global cyber level. I think the blended approach to at least therapy would be key. Yes gamers and WWW users can now quite easily and cheaply interact with each other verbally. I often hear my son in his room playing with teens from around the world and talking to them and even screaming at times (not in anger or agony). A globally connected society is happening and I think we need to embrace and include it for CWS and also AWS (this is happening a lot through Facebook groups, Google rooms etc.) But there is not much around for CWS. I think competition would not have to be against each other. Maybe on a personal level. Or let’s redefine what was discussed and say that “reward” may be important on a personal level. Competition is a interesting one and wold have to be thought out carefully. The competition may not be so explicit. For example if we are using on online environment with multiple users then perhaps some rewards are simply fashion accessories or costumes for younger kids. Some quests and achievements may involve virtual points which can add up and them be spent in a virtual store. A child may see his friend wearing a really cool virtual costume and ask how man points it cost. Then they may with their parents and the SLP work out quests to earn those points to spend later on. I think on online environment would have to be flexible and customisable within constraints to accommodate individual differences for sure. I love the idea of an online community where kids can create their own avatars. I think this is a great opportunity for interaction and competition between kids. I completely agree that kids will be motivated to do well in therapy if they can earn points for their avatars. Kids these days are completely motivated by competition, due to the strong presence of video games in most kids’ lives. Incorporating “gamification” into therapy is something I will definitely consider in future practice. Thank you Courtney, The ability for both the SLP/parents and child to somewhat customise the experience will be one key success element I think. Kids love to create personas and we could facilitate that very easily. Also I think a reward system ties itself into avatars very well. We see the stereotypical ‘gamer’ as a bit of a geek, a loner who sits for hours in a cyber world playing games with non entities accross the globe. However with the XBOX LIVE kind of thing, it developed that gamers could now actually speak to each other, making real life connect with cyber world! Avatars are a great way for us to also see how people view themselves and I think that type of thing may prove useful, and games that get people to interact with the REAL them is important and not just to create a persona. The virtual radio station, theatre etc is a great idea, especially if various speech and languages therapists in various areas came together in an online forum type of thing. Hi Grant! What a great idea! I am studying to become an SLP and I would absolutely love to use games in therapy. Kids are already playing tons of video games and to be able to take advantage of this interest to better themselves is brilliant. I was wondering what age group you would start with? Would you want to create games for all ages or just children? Thank you so much for your paper. I loved reading it! Thank you for the kind words. As for ages I would probably need direction. I think we would first target an age group that would be more open to the suggestions and methods, and of cause that would immediately benefit from these ways. I do not think we could make a single game or environment for all ages. I think the narrative and actions within would have to be closely aligned with the target audience. This was a very interesting article and a great idea to incorporate gaming into therapy. I am currently a graduate student/student clinician, studying Communication Disorders and I use technology in some of my sessions. However, I have only used the iPad and apps that focused specifically on the speech and language disorder I am addressing. I feel a gaming experience like this would build confidence in children who stutter and meet other children who are like him. I do have many questions about the long-term effects of using a digital world as a form a therapy. As you know, some people who are serious gamers can become socially withdrawn and tend to prefer to only interact with people who are inside of their world only. When in the real world, they are usually viewed as “socially awkward” and at times teased. Do you think children who stutter would use the game as a way to escape from the harsh realities and still be able to please their parents by going to therapy? Or, do you feel their can be a balance? Hello Carmen, than you for reading and providing feedback. Ah yes long term effects are interesting. The problem is at the moment I would say there is not a lot of long tern data out there. There are many studies on different sides of the fence here. Of course with children they usage would/should be monitored and moderation is key. That is why I really like a blended approach mixing digital delivery with face-to-face and also family interactions. Depends on what we are designing and aiming for also. This is where it gets complex to explain well. If we use purely a game then the child would be restricted to the environment and rules within. A game alone would simply be a tool and experience. If however we used a virtual environment then that will be more open to change an adaption. But also to customisation and powerful peer bonding. The challenge would be to balance the amount of time and reliance on this world. Virtual worlds are so interesting. For example there are adults who use virtual worlds like Second Life. Some claim that Second Life if their real life and that the physical world is their “second life”. I believe that a virtual environment could be tied closely to therapy and involve the directions of SLPs and parents at an individual level for the child in question. Therapy itself may be facilitated also within a carefully designed virtual environment. I am a second year graduate student studying speech-language pathology. I am currently taking a fluency class and I am fascinated by all of the information there is to learn about stuttering! Just when I thought the world of technology in therapy was at its peak your paper proved me wrong. How has no one thought of this before? I perceive video games to carry a negative connotation due to their lack of educational material and content. You mentioned some fabulous ideas such as peer support groups, customization of the game, monitoring by parents and SLPs, rewards, and much more. Your ideas are all encompassing comprising the whole picture of stuttering. I came across a few questions while reading your paper. First, I was wondering what is your opinion about SLPs using the video games in place of therapy completely? I find that speech therapy provided through video chat or technology, although very helpful, also lacks humanizing components. I also believe children especially would benefit from physical counseling and support. Secondly, although the child may be completing the assignments, without the SLP present or video recordings of the completed task, how will the SLP truly be able to monitor progress and observe behaviors? Whether used alone or in conjunction with, these activities would be great additives as homework assignments, carryover, or summer programs. Thank you for sharing a good luck perusing these great ideas! I am looking forward to seeing the outcome. Hey Stephanie, great comments and questions. I hesitate to think that at this stage, or close foreseeable future, that an SLP would use a game solely for therapy. There would have to be a lot of design, experimentation and appraisal for that to happen. We are finding that non-facilitated virtual services for health care are becoming very effective for adults. For children though there are many more considerations. I personally like a blended approach, but again that may not include physical face-to-face interactions with an SLP. I also see parents being involved within this process a lot more and that would then mean that parents will have to also be adequately prepared. As for progress observations and monitoring I will have to give that more thought. Again I think the parents would factor in and any associated adults. I really see in this case that the family unit along with the CWS will play a key part of treatment. Thanks for the reply Grant and for that link. I will defiantly take a look. I would agree as well that ethical SLPs would not be relying solely on gaming for sessions. The blended approach appeals to me as well. I would presume complete reliance on gaming would be a tough battle with insurance coverage of treatment as well. I am currently using computerized technology in a special ed inclusion classroom and am able to see the gains it provides. I think if parents are willing and dedicated, as you mentioned, that carryover would be significantly noticeable. I am curious to explore the research regarding gaming for those who stutter, both for adults and children. Thank you exposing me to this aspect of speech language pathology that I have not encountered yet. No problems at all I think the future of therapy will have to involve educated/informed parents and peers more so. I think you present some interesting ideas for using gaming in therapy. I especially love the idea of having children create a personal avatar that goes on quests to complete speech tasks. Also, providing virtual rewards such as moving up a level or gaining virtual currency is a brilliant idea. I would like to incorporate technology into therapy once I’m a practicing SLP. I have used the iPad frequently during my clinical placements. It was often the only thing that would motivate a couple of the kids that I worked with. Do you have any plans to create a game specifically for kids who stutter? Hello Christy, great to hear from you. At the moment I am just posing some ideas to hopefully get some seeds in this area growing. I am open to discussions and collaboration of course. It does seem like there is some genuine interest which is great! Thank you for providing such a great idea about incorporating gaming into speech therapy. I agree that it could be a wonderful supplemental tool for clients and parents to use at home with their children. I think SLPs are aware of how highly motivating video games can be to children and adults. However, video games can be time consuming to set up and play, they also tend to require a learning period that could go beyond the 30 min therapy session. there is also the concern of the client (if it’s a child) not wanting to end the game when the session is over. Do you plan on creating games that can be played with in a limited time period? Hello Gabrielly, nice to meet you. I think with careful design then the time at least to setup a game would be incredibly minimal. If you think about it the game would have already been designed and setup in a virtual sense. A little time maybe required for configuration. Yes it would be a challenge to work out how to incorporate it into a traditional therapy session. Perhaps then it lends itself more to homework and extension. Hopefully also to virtual meetings and monitoring. The design of the overall game or gaming environment would depend on the goals. A series of minigames could easily be setup with each taking perhaps minutes to complete. But they may take longer depending on the required interactions within. A simple game of snap could perhaps turn into a therapy session for 30 minutes which involved practice and conversation. I am fascinated by your idea to create video games for children who stutter. I loved your ideas of incorporating occasional negative feedback from peers and strangers in order to have CWS work through and discuss these situations with parents and/or speech therapists. I can see how possible experiencing such situations in the game might prepare these children to better handle them in real life. I also loved your idea of incorporating role play situations into the games. I am a second year graduate student for speech and language pathology and find myself constantly searching for new and unconventional therapy techniques to help motivate clients. Your question “Buy why have speech and language pathologists not considered video gaming as a method to assist therapy in a serious fashion?” is an interesting one. I do think that society’s increasing reliance on technology can be difficult for some speech and language pathologists because some might be afraid of being “replaced” by the technology. For example ,some therapists I know are hesitant to incorporate the ipad into therapy sessions. However, I do think that is it important for speech and language pathologists to make therapy modern in order to keep the attention of clients and facilitate their motivation. I hope that your paper will encourage many SLPs to consider using modern techniques such as video games to motivate CWS in therapy. I really enjoyed reading your paper about incorporating video games into therapy. I think your idea is really great! I am currently doing therapy with a 20 year old male and I think this would be a great reward/therapy method when he is doing therapy. I was wondering what types of games you would use that are already on the market for adults who stutter? There are many games that are really popular with both the male and female populations and I wonder if there would be more excitement if popular games were used with your idea? I think using an avatar that the PWS can make their own is a great idea because I think it will help them relate to their character and really benefit from the video game. I think your idea is great! I would definitely use it in therapy. Thank you for sharing! Hope to hear from you soon! I really enjoyed reading your paper. It was very thought-provoking and refreshing to hear a new, out-of-the-box proposal for therapy for CWS! I think it is a great idea for SLPs and families to incorporate gaming into therapy. I am a first year graduate student taking a class on fluency disorders and am really enjoying learning all about stuttering. I know that anxiety can increase stuttering and in my experience video games can sometimes cause anxiety (if a level is too difficult, if there is competition between players, etc.). Are you worried at all that gaming might have an adverse effect on a child’s stuttering and increase it, instead of aiding in treatment? I’m also curious how you came up with the idea to use video games with CWS. Do/did you find that gaming helped you cope with your own stuttering? I look forward to hearing from you. Thank you so much for your time, I really appreciate it! Hello Kate, great questions. I am not that worried about the gaming causing anxiety. I am more worried about dependence on a gaming environment for fluency and confidence. That is why balance and a degree of parent/SLP moderation is required. I am a graduate student currently taking a class on stuttering. I am extremely fascinated by the use of technology for the SLP, games in particular. Until this point, I have only been thinking of the iPad and computer. I haven’t thought of the use of video games. I also really love that you gave examples of games that already exist and how to incorporate that into therapy. I read another article where a child who stutters hit a plateau and using a game helped to increase his self-awareness and techniques for therapy. After reading your paper and watching your video, I am thinking about how to take that concept to the next level. Thank you for sharing your thoughts and ideas about using technology and incorporating games into therapy with CWS. The concept of using technology and games in therapy is appropriate given the society we live in today. Our society revolves around technology and it’s not something we can ignore. We are always looking for ways to evolve and improve existing technology (e.g., iPhones, iPads) and it seems that everyone wants the most updated product. The same applies when looking for new speech therapy treatments. Most speech-language pathologist (SLPs) do research and try to stay updated on the most current treatment methods. In your paper you stated, “But why have speech and langue pathologist not considered video gaming as a method to assist therapy in a serious fashion?” As a second year Communication Disorders graduate student, we learn that when choosing a therapy technique for a client we need to provide evidenced-based practice. There needs to be research that backs up the therapy technique we use. I do believe that many SLPs try to incorporate games on the iPad in therapy (I do! ); however SLPs may not be specifically using video gaming as a method to assist therapy because they may be waiting for studies to show the benefits of this treatment method. Children today only know a world with videogames and other types of technology. By incorporating video games in speech therapy is keeping up with the times and I think it can be an effective way to help CWS. It is such an interesting topic and you provide great reasons as to why using “gaming” in therapy can be an effective treatment method for CWS. In order to get more SLPs to use this unconventional treatment, we need to gather data to support it. How do you think we can get researchers on board to conduct a research study that examines the effectiveness of implementing video games and the process of gamification into conventional therapies for CWS? Hello and great feedback, thoughts and questions. I think it is very important that as a profession SLPs do not fall too far behind technologically speaking. But of course as you mentioned we must be careful and follow the evidence. This is why I am hoping that this paper inspires people like yourself to help develop, gather and analyze the evidence. To successfully incorporate games or gamification into practise will take careful planning and analysis, and also time. The iPads are a great start (please keep Android also in mind 🙂 ). Yes children today in modern culture are very connected. I once heard them described as a hoard of techno-vampire zombies. They must always be connected and feed upon new technologies. They are also massive consumers of date and follow the hoard blindly into new platforms, applications etc. I thought your paper was extremely interesting. In today’s technologically advanced world, gaming is so incredibly popular with people of all ages, as you pointed out. I think that we as a field could greatly benefit from doing more research on gaming and therapy, and working to incorporate it into our therapy sessions. I particularly liked your vision of what a theoretical gaming for stuttering therapy could look like. I wish that this was more than just a vision! It sounds like a GREAT motivational tool to use in therapy. Children love getting instant gratification, and this is a good way to encourage them in therapy. Is there a chance that this vision will be a reality? I was also wondering if you know of any current games out there that SLP’s have used in stuttering therapy? I feel like there are many games available for articulation or language therapy, but I don’t know of many fluency ones? I am a SLP graduate student interested in working with children, so I am always looking for ways to incorporate games into therapy! Hello Jamie, great to read your words and thoughts. I do not know personally of games that SLPs use. I am hoping SLPs reading this will educate me about this. As mentioned in the paper perhaps there are not purpose builts ones popularly out there, but we could adapt what exists to maybe fit in the meantime. You’re idea of incorporating gaming into stuttering therapy is remarkable. Many children spend a considerable amount of time each day playing video games, and it makes sense to take these hours and make them productive. If a child is excited about therapy, he/she will be more motivated and therapy will be more productive. I am very excited about your idea of creating games specifically designed with children who stutter (CWS) in mind. By creating avatars who stutter, the child will be able to relate more fully to them and possibly encounter obstacles they would in everyday life. I also greatly enjoyed your idea of incorporating multi-player cooperation and role-playing. This would allow CWS to connect with other CWS, hopefully resulting in increased friendships and sense of community (knowing that they aren’t alone). I do have a couple of questions for you. You discussed using games that already exist to clinic and home based therapy. This is definitely a good way to provide quick and cost-effective materials to the client, however how would you ensure that parents are interacting with the child when he/she is playing the game? With the iPad and other tablets, I often see the parents using the technology as a “babysitter” while still believing that the child is learning from it because a teacher or SLP provided them with the application. Do you have any ideas on how to educate parents about needing to interact with the child (and how to interact with the child) to provide the best results? Lastly, you stated that the mean age of gamers is 30 years old. Do you see therapeutic gaming moving beyond children and into this population? Hello Katie, great feedback & questions. I think ensuring that parents interact with CWS is a problem that perhaps we face already now excluding the use of games. How does an SLP know or can ensure that constructive support and practise is happening within the home environment with existing conventional therapies? I guess we rely a lot on their word. What we could do though at least in an online environment is to track usage. We could see when certain people logged on/off and what they were working through. Of course we do not want to go to the extent of becoming baby sitters or control freaks. I think parents need to be strongly educated that therapy and support are not clinically based only. It is not feasible to think of therapy working only if a child attends a short SLP sessions weekly for a time period and then does not practise and is not supported at home. You would be trying to encourage home support and facilitation along with the notion of spending some fun quality time with your child. I highly anticipated reading your article after reading your personal biography. I enjoy hearing cultivating ideas from those with not only personal experiences but those who have had educational expertise in their specified area. I am a huge advocate for incorporating games into therapy. I believe that children should have a positive outlook onto therapy and it should provide children with realistic situations that will benefit them in their everyday lives. I personally believe that any game can be used toward language-based success if customized accurately and thoughtfully. However, I do worry about children who are already facing self-esteem and confidence issues getting locked in a “virtual world.” I question that this avatar may become a child’s “shield” or security blanket to hide behind. My question to you is, why not take this brilliant idea of gaming and interaction between CWS and form games that can be used in weekly peer groups. Taking away the “virtual” aspect may allow peers to discuss these ideas and concepts, and feel support without hiding away. On family game nights, families should focus more on role-play games, and discussing “what if” scenarios almost as a “game show” night. These types of video game force children and adults to participate lively and actively. These methods can help children gain security and comfort in their own skin. I don’t know if it is the best thing for children who are already uncomfortable with themselves to create an alternative virtual self. What do you think? Hello NFinkelstein, nice to hear from a student passionate about their craft. I agree totally with the fear of a child being locked into a virtual identity and that why careful management is required from all people involved. We really want those skills and positive experiences being transferred into the real world. This is the case also with conventional therapy and the need to successfully extend it beyond the clinic and comfort zones. I think with the correct environment then the avatar could be really modeled and invested into by the child. But it all becomes a balance issue and we would need strong support from parents. I think that is why a blended approach with therapy in mind really interests me. We incorporate some virtual tasks/games along with real world experiences/tasks etc. All monitored by the SLP and parents in some fashion. Also I would not fear the avatar too much. In reality it is simply a fun virtual representation of the child. I think your idea of gamifying support groups for CWS is exactly what I was hoping to hear. This is the kind of feedback and discussion we need to progress. Even a physical support group could be gamified in the same fashions that I have described. With role playing, missions, quests, rewards, leaderboards etc etc. I am a graduate student in Speech-Language Pathology. I found your thoughts about integrating gaming into therapy very interesting. I think it is a great idea! With technology and video games being such a huge part of today’s society, it makes perfect sense to incorporate them into therapy for people who stutter. Kids are spending all their time playing video games and on the internet already, why not use a therapy technique that they will be interested and engaged in? I loved your idea said about CWS creating anonymous avatars that enable them to chat with other kids like them out there. I think video games and other online technology could be a great way for a PWS to be involved in a community as you mentioned, where they are not alone in stuttering and have a support system. I hope in the future, “gamification” is considered in stuttering therapy! Thank you for introducing this awesome idea! You have posed some very interesting thoughts and insights regarding “gamification” for therapy, specifically for individuals who stutter. During my undergraduate studies, my program was really pushing the use of technology during therapy sessions for children with phonology and articulation disorders. I was always a little hesitant to jump on this bandwagon, especially with the use of iPads. However, the ideas you’ve suggested could have potential benefits for PWS, especially while at home engaging with a character that is “like” them. So often I wonder about the value and quality of most video games children and adults are engaging in. I think it would be great if more valuable games became popular, including a game like you’ve suggested to work on real life conversational situations. I wonder how practicing SLPs would react to this suggestion with the shift towards technology? Thanks for sharing your insights from a different perspective! This was a very interesting spin on today’s technology and the potential it holds. I’m fascinated by the thought of PWS being connected with each other via a gaming network, as these individuals may not have exposure to other PWS on a daily basis. I think it would do wonders as far as creating a safety net for these communicators by allowing them to build confidence through communicating with other PWS. It could also serve as a network where these individuals could find support from those who understand their personal issues. My only concern is the negative light that is so often shed on technology and the potential it has to steer children away from literacy and more academic-based activities. What would you say to parents who are not as thrilled about the aspect of their children dedicating more time to a gaming system and less on literacy-based activities? Great question, I think we have to educate parents about the positive sides of gaming. What positive skills are learnt by gaming etc and steer them away from the general press findings which are usually negative. I think if we could shape a game or gamification to include literacy and also speech therapy steered by both the SLP and parental team then they would be more open to including it. They would have to be made acutely aware that this is not games for gaming sake. Simply a different methodology that with time ans study, should be taken very seriously. I really enjoyed your article! I know that many children love playing video games and creating online characters. I particularly like the idea of allowing children to create a character who stutters and help him/her go through daily situations that may be difficult (i.e. making a phone call). I think I need a little more clarification with the parent interaction piece. If a parent and child were playing an already sold video game, how would you insure that the interaction is meaningful? It is important for children who stutter to have some one on one speaking time with a parent. Hello and thank you. I guess I also need help with interacting with parents. I guess I envisage that is therapy practise within the home is happening then this could be facilitated through the use of games. Perhaps the CWS and parent is talking their way through an onscreen adventure with lots of narrative happening verbally between the two. For example “What colour was the lady’s hair? Describe what that mountain looks like” etc. I guess it is up to the SLP to help guide the parent in terms of meaningful interactions to assist with therapy. As a graduate SLP student, this truly sparked my interest. The farther I read into your paper, the more idea popped into my head of all the goals I could accomplish in therapy using video games. My favorite of your proposals was developing a “community site” for the CWS and their avatars to meet and interact. As mentioned in other posts, technology has advanced to the point of verbal and video interaction while gaming through devices such as PCs, tablets, XBOX Live, and Wii. There was also a mention from another reader about the possible build of a game to use in group therapy, which would be both real-life and real-time interaction in one session…amazing! These interactions would give CWS the opportunity to problem solve virtually in certain situations that they typically feel uncomfortable, only they able to understand how to solve the problem in an environment with less demands and a pause button, so they can take their time. Less demands in the environment = better fluency. I must mention that the “Dance Dance Revolution” game comes to mind when thinking about therapy. Perhaps it would be beneficial to create a game, such as the one you are proposing for CWS, that includes the same type of portable foot controls, avatars, and short chapters of gaming as “Dance Dance Revolution” with the inclusion of a headset. The CWS could play with a parent, clinician, friend, another avatar, or online. Do you think this would be a possibility? Thank you for your time and your contributions to the field of speech-language pathology! Thank you for contributing such an innovative paper to this year’s ISAD online conference! I am a graduate student currently taking my first fluency course and I must say, I am utterly intrigued by therapy techniques used for people who stutter. The fact that every child is different and no “one” technique has been proven 100% successful offers clinicians a challenge. As an SLP, trying to find techniques that are not only beneficial but also motivational to the child will be difficult, I’m sure. The whole concept of “gamification” and including video games in therapy is simply genius! It shocked me to learn that 92% of households have at least one device that is used for gaming! With gaming as popular as it is, I think your ideas for making games and therapy techniques based around it is wonderful! Thank you for your eye-opening paper and I won’t be surprised if I use some of your products on a client one day! Thanks for sharing your thoughts and ideas of incorporating gaming in intervention. As a second year student in speech language pathology, I found this idea appealing and thought-provoking. In the past, I have taken a negative stance on the idea of increased gaming because of the lack of interpersonal interaction. However, I can see the benefit of “gamification” increasing motivation in intervention with PWS as well as targeting significant interaction skills via role playing. Do you feel that this method of gamifying therapy would be favorable with all ages of PWS? Also if there is potential for gamifying therapy with PWS, do you feel that this would increase fluency in real-life situations? Hello and thank you for the feedback and questions. I think gaming can be very beneficial for SLPs and clients if informed correctly, designed well and ethically tested. I think perhaps gaming or gamification could assist PWS of all ages but would have to be shaped and designed differently for different age groups at least. Older PWS would not want to play childish games. A blanket approach for all PWS would not work. I can only hypothesise about increased fluency in real-life situations. I would think that if crafted and designed carefully then technique transference should be assisted and hopefully controlled fluency would also be facilitated more. I am an SLP graduate student, and I found this article so interesting since this generation of children is so focused on the newest and best technology. I loved your idea for creating games specifically for children who stutter, but I do think that would take a considerable amount of time. I tend to use my iPad a lot during therapy as a reward system, but are there any game apps that you are aware of that are more “therapy-based” and have the virtual rewards and missions you refer to? I would be interested to compare the progress for two different children who stutter, one using a computer/electronic game and one using no technology during therapy. Thank you for your insight on this method of therapy! Hello Ferren, at this stage I am unaware of any such apps as I have proposed. I was hoping that this paper would seed inspiration and development. There may be some apps out there that I am unaware of. I found this article interesting and thought provoking as well! As a SLP graduate student, I also tend to use games on the iPad as a reward during therapy. However, it would be wonderful if there were games to target specific goals with PWS. You provided a great idea of comparing progress of intervention with technology and without for PWS. I look forward to reading Grant’s response to your questions! Hello Chassie, I think we should also look beyond CWS and towards other communication problems. Designing a simple to use and easily configurable platform would open up more markets and hopefully assist more than just children who stutter. Research of course would be required and validation. You have presented some inspiring ideas that embrace the importance of gaming for many people. Online gaming seems to have great potential for providing an appealing, supportive environment for CWS as they build confidence and practice their speech skills. I know many children who would probably prefer game-based therapies to many conventional approaches. As I read your paper, I wondered about many of the same questions raised by other participants. The questions and concerns expressed and your responses are all very insightful. It would be great to see research on these ideas in the near future. Thanks for your leadership and for planting the seeds, which may provoke SLPs and families to step boldly toward new therapy ideas. As a future SLP, I will consider incorporating “gamification” into therapy as a way to engage children of all ages in their quest for improved communication. I look forward to seeing where “gamification” takes us! Great ideas! Hello and thank you for reading Jennifer. Thank you for the kind words also. I am hoping that professionals like yourself will help to lead the way into SLP game development and the processes of gamification. I can absolutely see gaming as a way to boost children’s self-esteem and confidence. I can imagine virtual rewards being a great motivator. However, I am not entirely sure that any kind of virtual interaction is going to be beneficial. I’ve always felt the attraction of creating avatars and gaming personas was the fact that they are so removed from reality. An avatar is a chance to create an identity that you always wanted to be. A gamer’s persona is often nothing like their “real word” persona. Do you consider achieving some fluency success in virtual interactions a real step towards transferring skills to the real world? Or should virtual interactions be mainly used for group support and socializing with other CWS? Hello O, Please only see an avatar as a virtual representation. An avatar of course can be who you want to be or simply who you are at this moment in time. I have read some interesting studies into avatar use by adults. For example men tend to give themselves more hair and fitter bodies. Ladies tend to really like fantasy costumes etc. The avatar in most case depending on the social gaming environment is simply a virtual puppet. In design you could easily restrict the design suit to ensure simple designs. I agree also that a gamer’s persona at times may be different to the real world. The same can be said also for simple social media. I have met some people who for example on Facebook are loud lions, yet in person they are meek mice. Complex topic this one O 🙂 . I do think that with properly facilitated online social interactions, games and simulations can assist in transferring skills into the real world. If done correctly with support from parents, peers and SLPs. For children I do not see this as a solo venture at all. We have to define carefully what for example an online platform should achieve. Perhaps there are facilitated tasks/quests etc and then simple some online social chances to interact with some other CWS. I found your article and video really interesting. I am a first year SLP student and am currently taking a fluency class. I am just starting to learn about stuttering therapies and am very inexperienced in working with PWS. I have never considered the idea of incorporating video games into therapy for children who stutter but I can absolutely see the benefits of it. I think this could really help a lot of kids and hope more SLPs learn more about it. Thank you! I am a second year SLP graduate student. I found this paper to be particularly interesting because I work in a remote community that is extremely “gamified”. I like the idea of children who stutter having access to similar children outside of their community because there are very few here. As you mentioned, perhaps built-in tasks could be created such as phone calls. As January and O mentioned, I would be curious to see if the child/adult can generalize techniques into direct social contexts. Also, because the goal is to build confidence and gamification reduces “control” over the therapy setting to some extent, what are your thoughts on cyber-bullying? (You mentioned the potential for peer-lead groups independent of therapists). Wow, what a great idea and way to keep both children and adults engaged and excited about therapy! Very interesting perspective, thanks so much for sharing! As a SLP graduate student who also enjoys playing video games, I have to wonder why this idea of “gamification” hasn’t been seriously looked into yet. The idea of using an online game for CWS sounds exciting. The use of achievements or quests can give the CWS goals as well as a concrete measure of how they are doing. To add to the community of the game, there could even be “party quests” that can facilitate CWS working together to achieve a mutual goal. As many other repliers have mentioned, there is a possibility of cyber bullying. This is certainly a concern and the game would have to be well moderated, but I don’t feel this fear should stop us from trying out this new medium. I look forward to seeing where this idea leads! Thank you for the kind words and feedback Megan. I think perhaps some SLPs may be using a form of gamification already. They just may not know it. Agreed, cyber-bullying cannot and will not stop us making advancements and experimenting with different mediums. We just have to work out ways to manage it. This is powerful! I absolutely love your take on stuttering therapy. I have seen several forms of technology integrated into therapy, but never video games. You bring up an excellent point! I was quite surprised to read the statistics of how many children play video games. I knew it was a large number, but it appears to be growing. If the average age of player is 30 and 40% of those people play with their children, the the number of children playing will rise as the years go on. It’s only natural that we adapt and help children overcome their stuttering in the most intriguing way possible. If video games is the ticket, then what’s holding us back? I’d be interested to see where you go with this! What an interesting concept! It’s people like you that help us continue to branch out and try new and innovative techniques in therapy. I think this idea could really catch on. And wouldn’t it be interesting to see if other types of disabilities could be included in these games? Hey Sarah, I agree. I think these methods and processes could be designed with many different target audiences in mind.